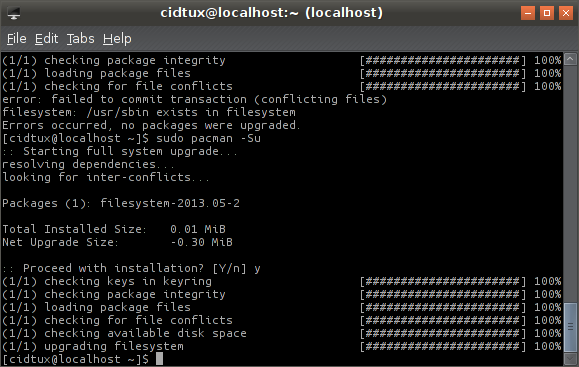 Well, last night i upgrade archlinux on my PC Desktop (32bit) & Netbook (64bit). 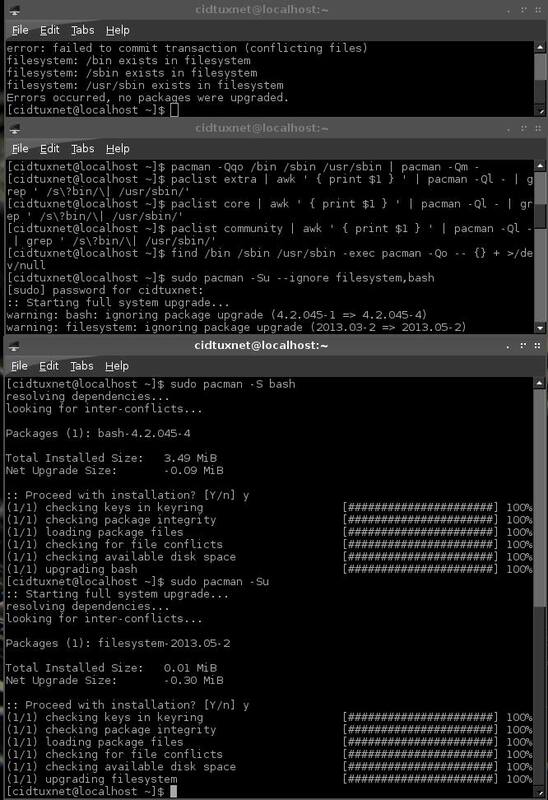 I got some file exists in filesystems error when doing pacman -Syu. And on my 64bit machines, same as above. So i went to archlinux.org pages, and there's info/news about "Binaries move to /usr/bin requiring update intervention"
<repo> change to your repo list, (core, extra, community, multilib,etc) if you using official repo, then you can skip it. 6. Ok now upgrade system. If you have not cleaned the packages on step 3-5, you will see this error again. All system on my machines succesfully updated.